Tomorrow night, hosts France face Romania in the first match of the 2016 European Championships. Will Burns has analysed each team, each market and each player to identify the best ways of making a profit from the tournament. Over the next month we will enjoy a festival of football as 24 of the Europe’s best set up camp in France for the biggest European Championships ever. Every major tournament creates household names and produces memories that will forever be remembered, good or bad. In this article, I will predict what team I feel will create those moments and which players will be talked about for years to come. First up, lets get down to the fundamentals and who will lift the trophy. Four years ago in Poland and Ukraine, we saw Spain lift the silver cup just two years after winning the World Cup in South Africa. They joined an elite pair of teams to lift back-to-back World Cup and European Championship titles, with this years hosts France being the other (1998 and 2000). In Brazil two years ago, Joachim Low and Germany were doubted and ranked as 5/1 outsiders behind the hosts and Argentina but Nationalmannschaft reigned supreme in the invariable heat and humidity of the South American country. The Germans do not have far to travel and barely need to acclimatise this time round so I see no reason why they cannot join the elite and lift the trophy come Sunday, July 10th in Saint-Denis. With their tournament experience, the pedigree, the talent in their squad, the no-lose determination, the penalty-shootout streetwise, once again Germany seem set for dominance. The only weakness I potentially see scuppering their history-making plans may be their defence. With the retirements of two of the older guard, Phillip Lahm and Per Mertesacker after the 2014 World Cup victory, they have not been suitably replaced by the youth. Although, in Jerome Boateng, once a sparsely-used full-back at Manchester City, he has now flourished into a commanding, leading central defender with pinpoint passing accuracy. His partner will be the pacy, intelligent and versatile Mats Hummels, but beneath that they lack quality. Lets not forget they have a wordl class goalkeeper, Manuel Neuer with the ability of Lothar Matthaus sweeping up at the back and an experienced defensive midfielder in Sami Khedira protecting initially. The midfield is stacked with slick passing, creativity and goal threats from all areas of the field with an overabundance of attacking midfielders in their prime. Bastien Schweinsteiger (31) is the grandfather of the midfield, Toni Kroos (26), Mesut Ozil (27) and Andre Schurrle (25) are the ‘older heads’ to guide the younger crew of Mario Gotze (24) and Julian Draxler (22) who are in place to be unleashed this tournament. Up front, after a strong season with Besiktas, Mario Gomez has been recalled to rival Thomas Muller for the centre-forward role. Gomez is a proper number nine in the new era of the false nine – Mario will surely bring the muscle to the box when all else fails. I cannot see any team coming close to a team with so much experience, talent and the fantastic record of their manager. Low is now leading the team now into his sixth tournament – and in all of the five previous, his side has not once let themselves down. They will use this tournament as a training exercise for the upcoming World Cup in 2018, bleeding the youth in with the older guard, showing them how to become champions. If you are looking for a team to bring home a bit more cash, then look no further than Germany’s fellow group-ee Poland as very good each-way bet at 50/1 at most outlets. The Poles have become a threat for the tournament and also Group C and head coach Adam Nawalka is responsible for this. Poland are no longer the counter-attacking outfit they were known for and Nawalka has placed great emphasis on high and low pressing. He demands that his team are as close to the opponent as possible and ready to react quickly when they have lost possession. They now like to hold the ball, build the attack carefully and then, often, play the ball out on the wing to deliver it into the box ready for the ultimate finisher Robert Lewandowski to meet. Another tactical change was unveiled during the qualifiers. Nawalka made the decision to play with two up front, which former Polish coaches had refused to do and young Ajax striker Arkadiusz Milik has proven to be the perfect complement to Lewandowski. After promising to give the Bayern Munich man more support at the beginning of the qualifiers – he did with Milik, and in doing so he has created one of the most harmonising and dangerous attacking partnerships in Europe. First choice left-back Maciej Rybus was injured before the tournament, so this position could cause a problem. Otherwise a solid defence, protected by midfielder Grzegorz Krychowiak. The Sevilla man is the diamond in the middle that breaks up play and sets the tempo for the team going forward. Once they qualify for knockout stage, whether or not they can handle the pressure is a big question. Co-hosting four years ago, there was large expectations on their shoulders and they failed. A lot of same players in that team are back this time round but more experienced and more established with their clubs which will be a big advantage and, with the addition of some promising young players, they could achieve great things. As featured in our group previews published earlier this week see the tips below. Where stated, click the tips’ link to view the reasoning. One that has not been mentioned yet is Iceland’s chances in Group F. The Scandinavians, managed by former Sweden coach Lars Lagerback, were impressive in qualifying when many had wrote them off. Now although the Icelandics look inferior to group opponents Portugal and Austria, they were responsible of shocking The Netherlands to not one, but two defeats in the qualification, so the ability to cause an upset is there. ENGLAND TO WIN GROUP B (1.85 at 888Sport) – click link to view reasoning. GERMANY/POLAND DUAL FORECAST (2.25 at SportingBet) – click link to view reasoning. SPAIN/CROATIA DUAL FORECAST (2.50 at William Hill) – click link to view reasoning. RUSSIA TO FINISH BOTTOM OF GROUP B (5.00 at Ladbrokes) – click link to view reasoning. NORTHERN IRELAND TO FINISH BOTTOM OF GROUP C (1.65 at SportingBet) – click link to view reasoning. Lets talk about goal and more especially the scorer of goals. There’s one man this summer that must be seen as a guarantee for goals and that is Polish target man Robert Lewandowski. Lethal in the area, strong, good in the air, a great poacher, an excellent penalty taker – this man has it all, and I feel that Poland will be creative enough to feed him. The six-footer is in superb form last season. For both club and country he appeared in 56 matches and found the net 48 times and I can see the scoring continuing into the Group C matches this tournament. Opposition like Northern Ireland should give the Bayern Munich plenty of opportunity to notch goals, Ukraine and Germany will be more sturdy tests but he is well capable of breaching both defences. He is valued at 16/1 by Bet365 and various others and with the 13 goals in qualifying to boot, I see that as the best bet. Another bet, with more value is Belgian’s winger Kevin De Bruyne at a massive 45/1 at Unibet. After scoring five in the qualifiers, the Manchester City man will play a similar role for his home nation, in the middle of a three man attacking midfield and he looks a bargain at £55m that the Manchester club paid for him. Again, like Lewandowski, for club and country this past season, his numbers have been impressive, even more so, since he is not an out-and-out striker. Before joining City in September, he managed to shoehorn in a goal in four appearances for Wolfsburg. He added seven goals in 25 outings in the Sky Blue shirt and for the Belgians, he made four starts with three goals. He is a longshot (no pun intended Kevin) to watch out for. See tips below for the best bets in the Team Top Scorer markets which should give us some cracking value. Click the links below to view the reasoning for each tip. ARTEM DZYUBA TO BE RUSSIA’S TOP SCORER (4.00 at Paddy Power) – click link to view reasoning. ROBERT LEWANDOWSKI TO BE POLAND’S TOP SCORER (1.83 at Coral) – click link to view reasoning. IVAN PERISIC TO BE CROATIA’S TOP SCORER (6.50 at Coral) – click link to view reasoning. KEVIN DE BRUYNE TO BE BELGIUM’S TOP SCORER (6.00 at Bet365) – click link to view reasoning. 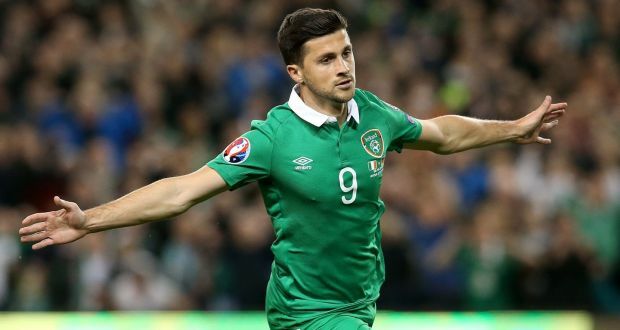 SHANE LONG TO BE IRELAND’S TOP SCORER (4.50 at Bet365) – click link to view reasoning. 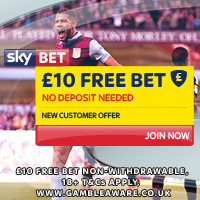 NO GOALSCORER FOR NORTHERN IRELAND (8.00 at SkyBet) – click link to view reasoning.